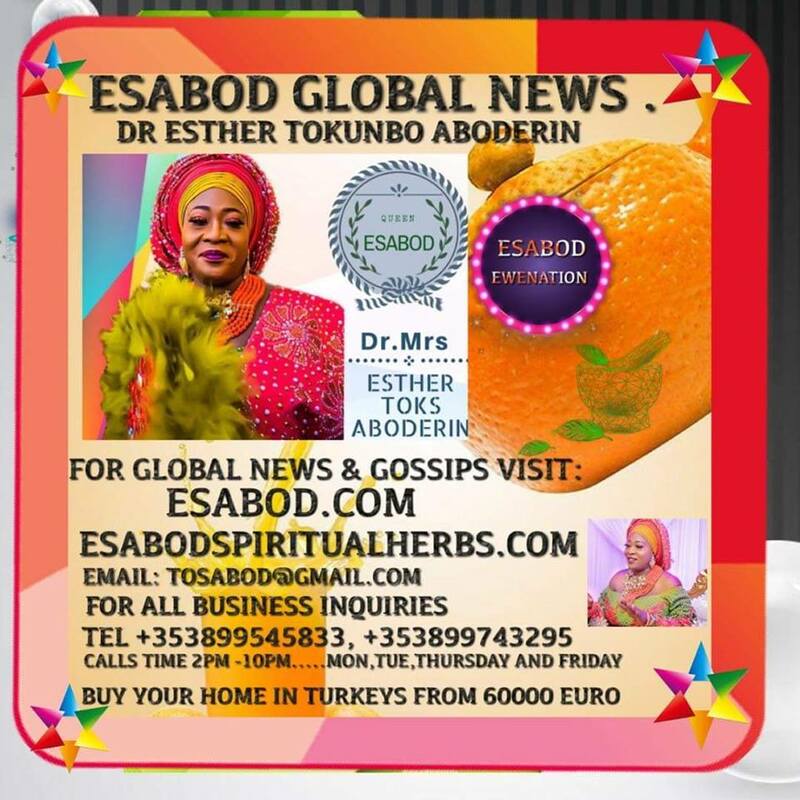 The Lagos state police command has given an update on the case involving 47-year-old lawyer, Udeme Odibi, who murdered her 50-year-old husband, Mr Otike Odibi, last Wednesday, in their apartment at 12A, Emerald Avenue, Diamond Estate, Sango-Tedo, in Ogombo, Ajah area of Lagos State. An America-based lady identified as Neshe Vonte, has taken to her Instagram page to disclose that the pains of childbirth and its labour is almost unimaginable, as she reveal what women who go through during birthing, and described the process as excruciating. Anto who grew up in the United States of America appears to be testing her feet in the modeling field following her latest activities. According to the reports shared by a Facebook user, Timepani Span, a soldier identified as Victor Ochoma was allegedly beaten to death over stolen rods being used for the construction of Ahoada, Odiemerenyi, Odieke and Ihugbogo road. Popular Nigerian singer, Davido has boasted about being the first person to make $1million from the popular ‘Pon Pon’ sound. Fresh outbreak of Ebola kills 17 people in northern Congo! The Ebola deadly virus, that raged in some West African countries several years ago has made a rerurn in the northwest part of Democratic Republic of Congo (DRC), killing 17 people. A member of the Redeemed Christian Church of God (RCCG) says he will be petitioning the General Overseer of the Church, Pastor E.A Adeboye for Vice President Yemi Osinbajo to be removed as a pastor in the church, because he (Vice President) has become an embrassment to the church and Christians in Nigeria. A woman whose son was killed has been spotted cleaning the young man's blood from off a pavement. 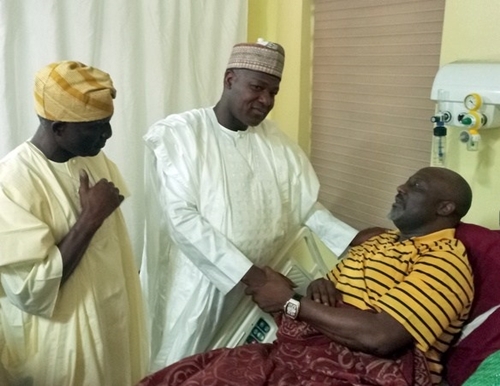 Federa House of Representatives speaker, Deputy Speaker, Deputy Minority Leader and other members of the house have paid a visit to the ailing Senator Dino Melaye at an Abuja Hospital. The face of the 35-year-old pastor, Chris Mordi, of the Miracle of Fires Ministry, Langbasa, Ajah, Lagos State arrested for allegedly propagating hate speech in the state has been revealed. Despite the significant role dance and choreography contributes to the music industry, the Headies Awards has mostly celebrated artistes and producers. However, the just-concluded edition saw Kaffy; Guinness world record holder, entrepreneur, fitness instructor and one of Nigeria's most recognized dance artist clinch the special recognition. This highly coveted award has been won by the likes of Victor Nwaifo, Donjazzy and Flavour. Seventeen Nigerian migrants who survived a deadly sea crossing last year have filed a lawsuit against Italy for violating their rights by supporting Libya’s efforts to return them to North Africa, their lawyers said on Tuesday.The plaintiffs, two of whom have returned to Nigeria, petitioned the European Court of Human Rights last week, Violeta Moreno-Lax, a legal advisor for the Global Legal Action Network, told reporters. She was among four lawyers and several humanitarian groups involved in the case. Assailants suspected to be Fulani herdsmen reportedly attacked and robbed some passengers on their way to Kaduna. The incident happened on Saturday, May 5. One of the victims, Odirichukwu Chima Lawrence, who is currently receiving treatment in a hospital, said the assailants raped female passengers and made away with their money and other valuables. Even though the reality show is over, the drama surrounding it obviously is just getting started. Former Big Brother Naija housemate, 23-year-old Tobi Bakre, has confirmed that housemates were indeed having s.ex with themselves during the course of the reality show. 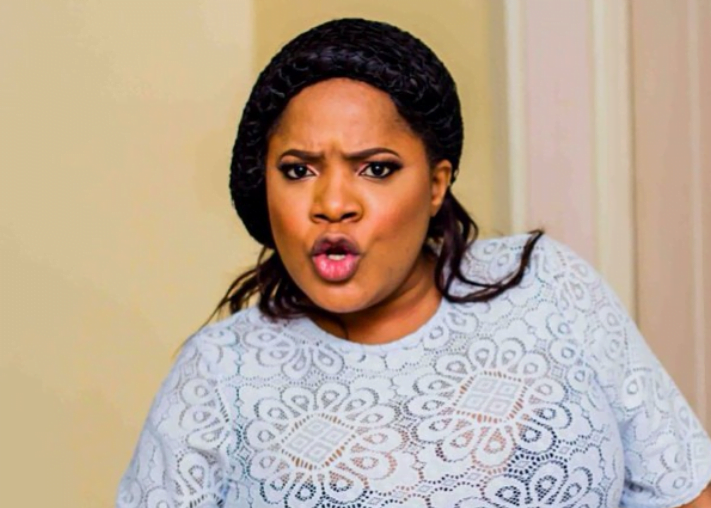 Actress Xandy Kamel says popular Ghanaian actor, Bill Asamoah is not good in bed; "he is a ‘one-minute man"
Ghanaian actress, Xandy Kamel made a derogatory remark about popular Ghanaian actor, Bill Asamoah who is also her ex-boyfriend. Super Eagles Technical Adviser, Gernot Rohr, is making efforts to avoid distractions in the camp of the senior national team at the forthcoming FIFA World Cup taking place in Russia by passing an order that ladies of easy virtues (prostitutes) or any female who has no direct link with the national team players would not be allowed near the Eagles’ camp. The President of the Association of Psychiatrists in Nigeria (APN), Dr Taiwo Sheikh, says according to a recent study, 85% of mad people in Nigeria are youths within the age bracket of 18-38. Nollywood actress, Tonto Dikeh has given relationship advice to religious people concerning how to impress each other. Former big brother Naija housemate, Cee-C seems to be making some money moves with Davido and his babe, Chioma. Nollywood actress,Adesua Etomi ,has kept her promise of meeting Alex outside the big brother naija house, and she has already shared a photo from their meeting. Nollywood actress, Mercy Aigbe has reacted to Davido signing a multi million deal for his girl friend Chioma. Earlier today, the singer took to Instagram to announce the deal. Former big brother Naija housemate, Tobi Bakre sure got some words of wisdom when he met with Mrs Wellington, actress Adesua Etomi today. 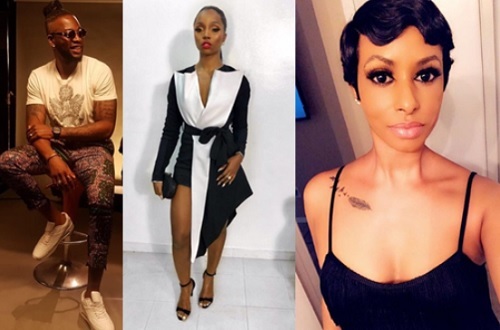 Nigerian superstar musician,Davido appears to have kicked off a chain of events that has continued to yield positive dividends for his girlfriend Chioma following his viral assurance of his love for her. Nollywood actress Sophie Alakija shared how close she and her family came to death after a car they were in was hit by 2 cars. Actress Tonto Dikeh reacts to the trending social media fight between Blac Chyna and her mother Tokyo Toni and Nigerians do not love her comment at all. All these happened shortly after Blac Chyna’s mum called out Blac Chyna for not allowing her to see her grandkids only for the reality star to call her mom a liar and then Tokyo Toni rained insults on her. Actress Juliet Ibrahim has come under some ridicule from some Americans who didn’t fancy her comment on Nicki Minaj’s Met Gala photo. Nollywood actress, Moyo Lawal has hinted at getting some surgery after she gushed at the way Kim Kardashian’s body looked in her outfit to yesterday’s MET Gala. A Facebook user, Amy George took to her Instagram page to narrate how a family friend who used be very rich went broke after they were brainwashed by a church to stop chasing vanity and also give out all their wealth to the less privileged. Is Drama Brewing Between Teddy-A And His Babymama Over Bam Bam? Some conspiracy theorists and latest posts on social media are indicating that a drama is currently brewing between Big Brother Naija housemate, Teddy-A, his babymama and Bam Bam. Despite her fiery and controversial nature while in the big brother naija house, Cee-c appears to be stealing hearts day by days. No other housemate in the just concluded big brother naija reality game show was able to polarize viewers as much as she did with her constant drama and fights with other housemates but it seems that she is a whole different person outside the house as she is slowing warming her way into the hearts of many fans. The latest appear to be the elder Brother of this season’s winner, Captain Obokwe who posted this lovely photo this morning, calling her ‘a lady’. Drama was recorded at the National Assembly quarters in the Federal Capital Territory, Abuja after the wife of a lawmaker beat up her friend for dating her husband. She was captured on camera as she stormed Gudu, the National Assembly headquarters in Abuja to beat up her friend who is having a secret affair with her husband. 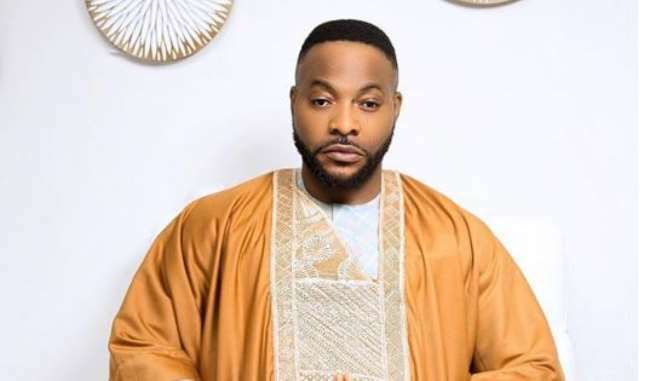 Nollywood actor, Bolanle Ninalowo is a year older today, may 7th and he is starting the day by celebrating himself o social media. There is nothing that gives a woman joy than seeing her hubby showing her the needed caring and understanding she deserves even without saying it. 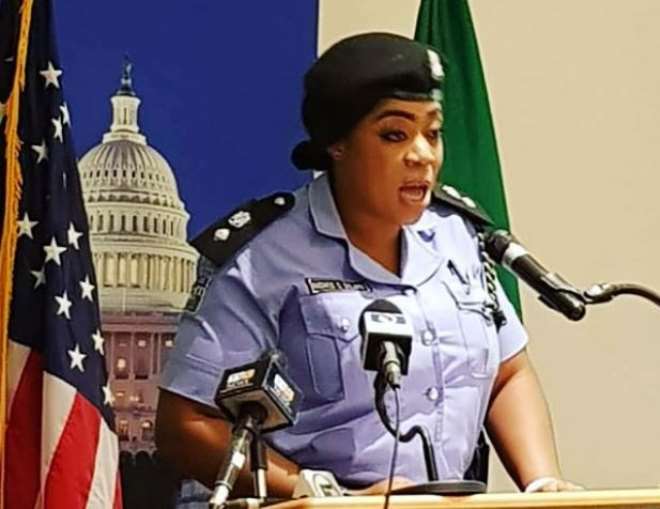 One of the married couples in Nigeria, celebrity Police officer, Dolapo Badmus, could not hide her joy or her husband as she took to social media to reveal how caring he is. 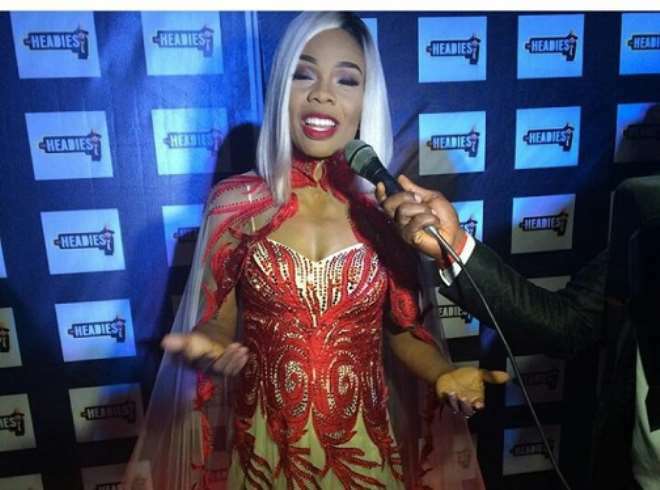 Social media influencer Laura Ikeji Kanu is the best hypeman a sister could ask for as hse sowers her sister Linda with nothing but praises about how financially buoyant she is. Laura took to her Instagram page to celebrate Linda, saying she was everything and then some. Beautiful ex-housemate Alex has just shared who her ‘Men Crush Monday’ are. The ever green housemate announced Tobi & Miracle as her Men Crush Monday, thanking them for their contribution, love, and care they showed her back in the Big Brother house. 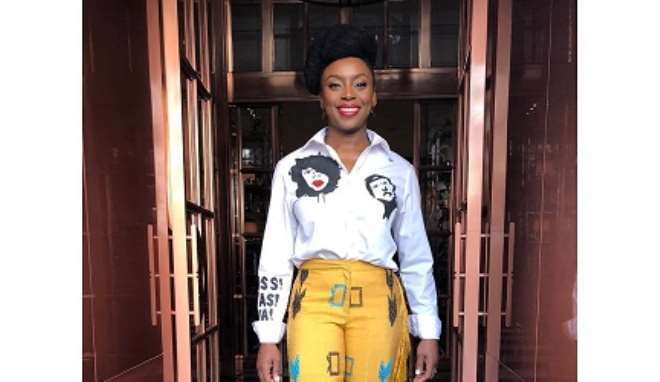 Chimamanda Ngozi Adichie On Saturday April 21st 2018 gave the keynote speech titled ‘Igbo ku Igbo’ at the 7th annual international Igbo conference where she shared candid stories about the Igbo pre-colonial history. The conference theme was Memory, Culture and Community: Remembering the past, Imagining the future. In her talk, she shared her personal experiences and stories about the Igbo precolonial history and culture. Adichie layed emphasis on preservation of the Igbo culture and the remarkable strength and dignity of Igbo women. Nigerian lady stranded at a restaurant after she ordered what she can’t pay for while on a date. A Nigerian guy shared how he left his date hanging after she ordered for a meal she couldn’t pay for and was rude to him. According to him, his date had the highest price for the food they’d ordered and after their meal, he asked that she foot the bills cause he was a little cash strapped and was not with his debit card. A young Nigerian man has come out to claim he wrote Davido’s latest song, Assurance for him. The young artist is identified as ‘Zona Gee’. He claims he wrote the romantic song (Assurance) for Davido and has not been given any accolade for his work. A Twitter user has narrated how two very “rich” yahoo boys fought over what can be termed as “Betrayal”. According to the twitter user, the 2 young men came to blows because one of them gave the girlfriend of the other a lift with his car and she sat in front “beside him”, while his own girlfriend sat at the back. When a fan told him Davido had challenged them to show off their girlfriends ,he said people love differently and he is not in his 20s. ”If you love a good head, open up and tell your partner” – Tonto Dike gives word of advise..
Nollywood Actress,Entrepreneur and mother of one, Tonto Charity Dike has dished out some words of advise for couples to spice up their love. Tonto shared a post on IG which listed out a number of things that should be done in a marriage. Veteran actor Sani Idris popularly known in Kannywood as Mo?a has died after a long battle with diabetes.